Everyone knows Google is a powerful portal to digital information, but a more daunting task is sorting through results to find the exact piece of information that will make your piece fuller and more informative. The NPR Research Strategists are here to share three tips we use to get more precise and relevant results. Google returns search results from all the websites it indexes, which can mean searches return hundreds of thousands of results. 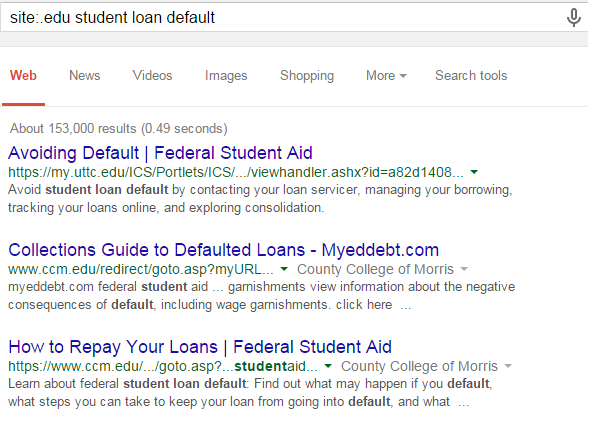 Try the searches “Elk River Spill” or “Student loan default.” (Please note we have edited out ads from our screenshots). You now get focused results that are more relevant to your needs. Compare to EPA’s search, where the first result is about Elk River, Idaho, not Elk River, West Virginia. 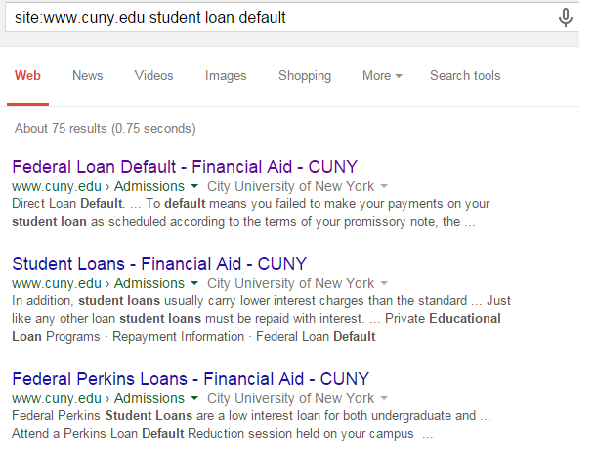 Compare to Cuny’s search results. A quick way to simplify your search results is to make sure Google is looking for an exact phrase, and not just individual words. 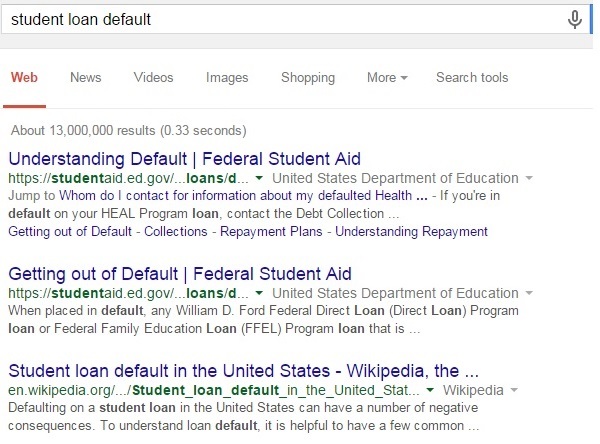 By placing your search string in quotation marks, Google will match only that exact phrase. 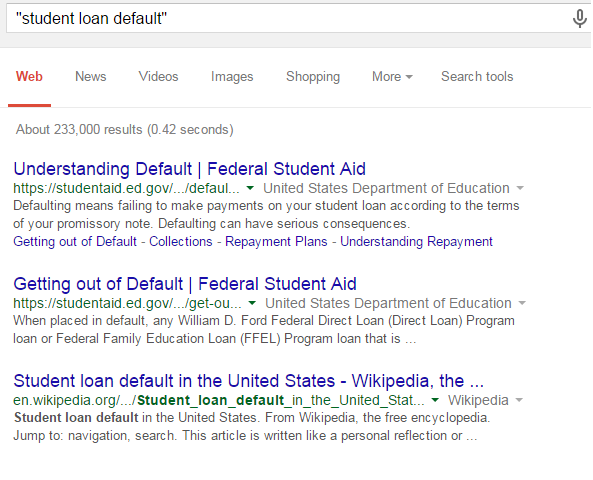 For example, compare the number of results from our original searches with the same searches in quotation marks. Note the first result is the same, regardless. Questions? Comments? Contact the Research & Archives Team at 202.513.2350, library@npr.org or @nprlibrary.